I know now that someone is reading my blog. I have been nominated for the Liebster award. A thank you goes to The Kitty Corner for finding me and giving me a nomination. It is a pretty much a done deal when you are nominated. 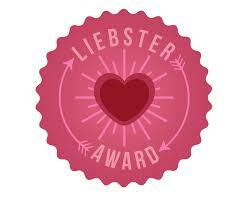 There are certain things I need to do and then I can put the Liebster award logo on my blog. Quite honestly, I think is more like a chain letter and there is a little work involved with it. I read of some people who accepted the "honorary award", which is to say thank you but not carry the chain on. But, I am going to see if I can get this thing done. After all, blogging is about communicating and sharing. To fully accept the award I had to pick eleven blogs to nominate that have less than 200 followers. I have a lot of different interests and tried to pick writers in each of my interest areas. So there is quite a variety in my list. What is your favorite movie?-Anything Jane Austen-I pretty much own anything made from an Austen novel. Next up would be eleven random facts about myself. My favorite house is the Mid-Century Ranch. If I could transport a Rummer or Eichler, or Cliff May to my property, I would do so. Nails, Nails, Nails!-I discovered the wonderful world of nail polish and nail design. I enjoy spinning, knitting, and dying yarn and fabric. I have always wanted a vintage 60's Mustang. I live in the country but am only one hour from the city-I couldn't stay to far from culture. My only sister lives in Florida, so I go Florida some. I have two daughters and two grandsons. We have five dogs and six cats. Why did start a blog? If you were given three free round-trip tickets to any three destinations; where would they be? Is there a book that you have read more than one time? What are your favorite colors in nail polishes? If you were to enter an art museum, where would you head first, the modern art or traditional art? If you are not allergic to animals and could have any of you choice, what would it be? Who is you favorite clothing designer as your closet would b full of their stuff? Who are three of your favorite artists, musical, performing, visual or otherwise.